Here under Drive (Volume label), you have the option to select any of your hard disk drives, but the best choice is to select any drive other than C drive for virtual memory. 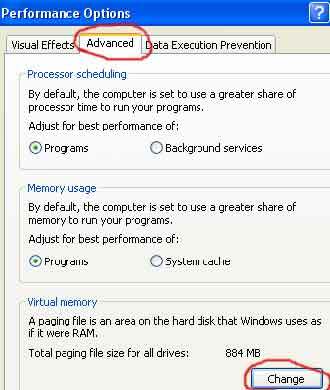 Set the double Initial Maximum Size of your Virtual Memory. Here set initial size 700 MB and maximum size up to 1000MB; you can change this size according to the free space available on your hard drive. Previous Previous post: How to Unlock / Unhide / Show the Administrator Account in Windows XP ! Next Next post: Some Keyboard Keys not Working - What to Do ?